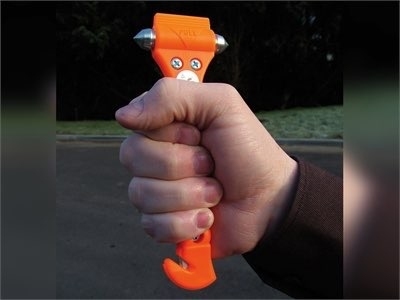 The Life Hammer has a double-sided steel hammer for shattering windows quickly and easily for a safe and quick exit from any vehicle. 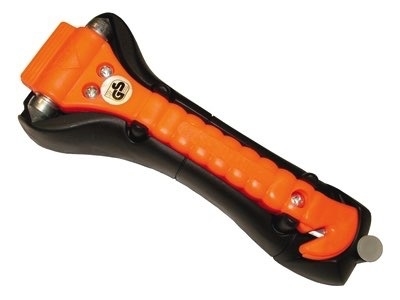 The razor sharp blade cuts through seatbelts to ensure an easy escape. There is a fluorescent button which allows the hammer to be located in the dark, also an installation mounting bracket - which is included, ensures the hammer is accessible when you most need it.